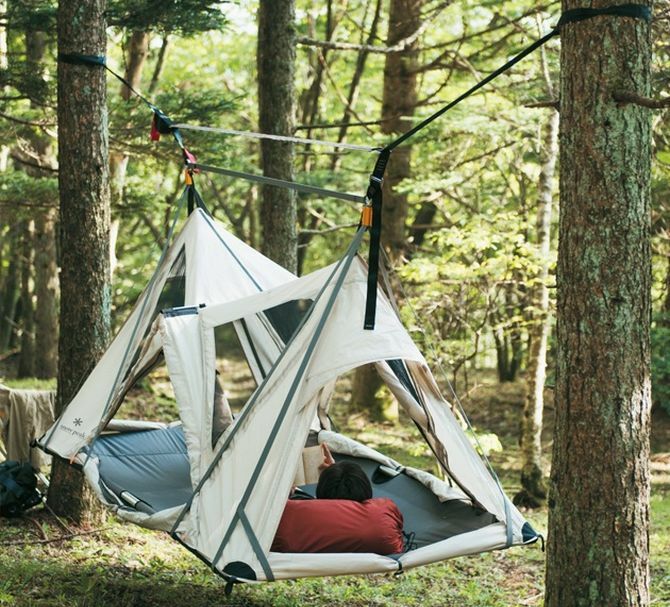 Using straps, the tent can be easily suspended between two trees letting you enjoy unlimited outdoor views. It even comes with padded sheets to help protect the trees on which it has been secured. 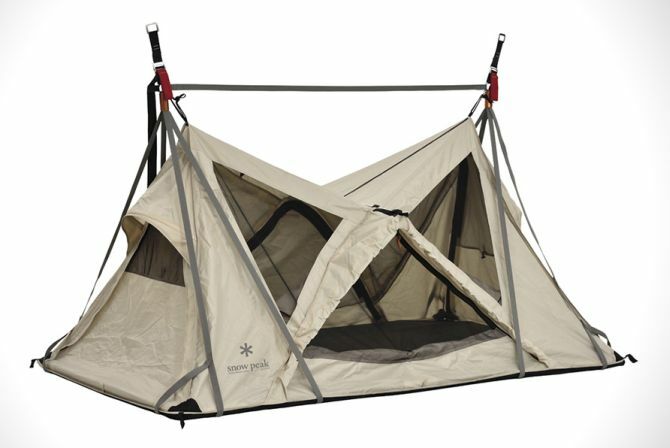 The tent measures 220 x 110 x 130-centimeters offering a spacious interior. 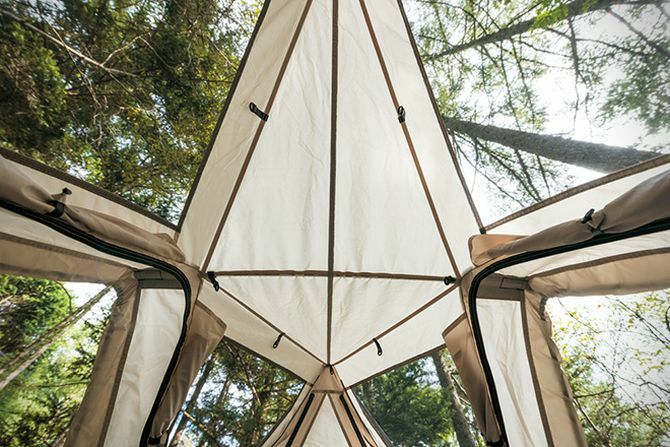 There’s enough space inside to store all your camping gears and necessities. 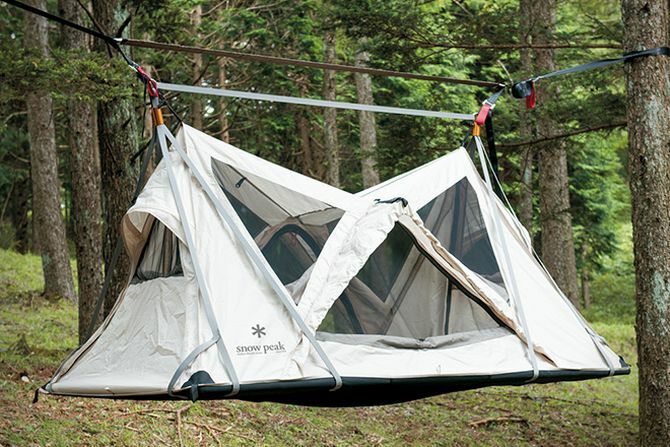 Apart from that, the bottom of the tent also has a shoe pocket to keep your kicks safe and dry even if it rains. 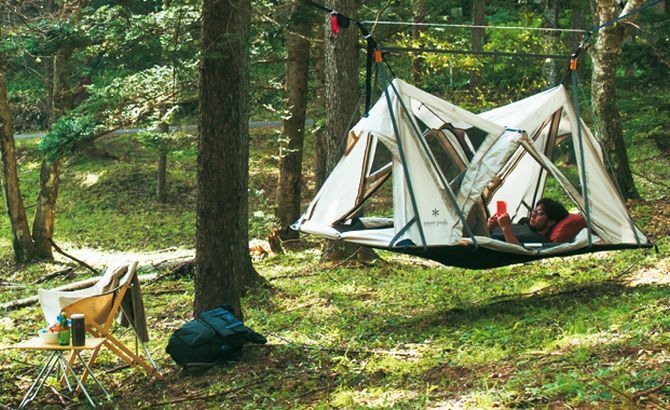 Previously, we introduced you to another swinging Tentsile Flite tent, which is also created to offer you maximum views of the natural surroundings. However, the Sky Nest seems more comfortable with a flat bed and even has ample space for storage and sleeping platform. Snow Peak Sky Nest is fully-equipped with large ventilators on all sides, so the inhabitant gets full 360-degree view of the neighboring areas. This means indoor air efficiency is well circulated for refreshing environment and also offers clear views of surrounding atmosphere. The modern swinging creation will certainly help you enter a completely tranquil state. 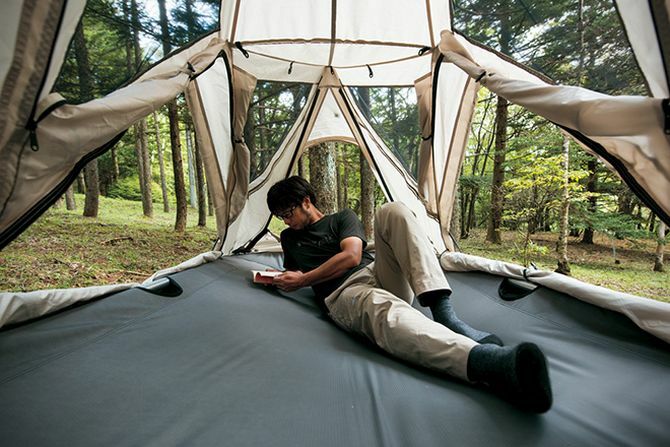 For enhancing your camping experience, you can get your hands on it now for ¥158,000 (approx. US $1300).